Go to the home page at www.foodshippersofamerica.org and at the top highlight "Events," then click on "Past Events." Click on 2017 and 62nd Annual Logistics Conference, then "Presentations." 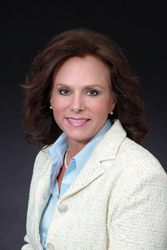 The Women In Trucking Association (WIT) is pleased to announce Andra Rush as the winner of the 2017 Women In Trucking Association’s Distinguished Woman in Logistics Award (DWLA). The announcement was made during the Transportation Intermediaries Association (TIA) 2017 "Capital Ideas" Conference and Exhibition in Las Vegas, Nevada. The award is sponsored by Truckstop.com. Rush was chosen among three finalists for the third annual award. The other finalists included Lacy Starling, president, Legion Logistics, LLC and Karen Duff, president and CEO, International Express Trucking, Inc. (IXT). 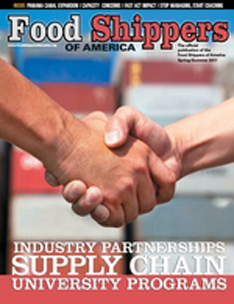 Food Shippers of America: Spring/Summer 2017 digital edition is now online! Included is the digital edition link, for your review. Trucking and logistics operators Swift Transportation Co (SWFT.N) and Knight Transportation Inc (KNX.N) are merging in a stock-swap deal, creating a company with a market value of more than $5 billion. The merger, which combines Swift's scale with Knight's operational prowess, will give the new entity more muscle to operate in an industry struggling with excess capacity that has hurt prices and squeezed profits. The transportation industry is continuously changing and evolving, which poses new supply chain challenges for maintaining reliable, cost competitive carrier capacity. With tightening capacity and driver shortages, changing regulatory requirements and evolving consumer expectations, it is becoming more important for companies to look to integrated supply chain solutions providers for ways to improve the efficiency of their networks – both strategically and operationally. By creating and orchestrating innovative solutions, such as a Scheduled Transportation Plan, companies are able to improve the transportation service reliability and cost performance of their supply chains while they align network stakeholders. Fetch Logistics, Inc. is proud to announce its 20th year as a leader in the third party logistics industry. As a locally owned and operated company, Fetch is proud of its roots and the growth it have experienced. Fetch Logistics began operations in 1997 when Robert Closs II and William Wilcox set up shop in a basement and hit the phones. Shortly after, the company was moved to formal office space and began hiring additional employees. Within five years of opening, Fetch Logistics earned a place on the Inc. magazine list of 500 fastest growing privately held companies in America and maintained this honor for four consecutive years. The Global Hot Dogs and Sausages Market Research Report 2016 is a professional and in-depth study on the current state of the hot dogs and sausages market. Annual estimates and forecasts are provided for the period 2016 through 2021. A six-year historic analysis is also provided for these markets. The global market for hot dogs and sausages is expected to reach about 76566.55 Million USD by 2021 from 67111.28 Million USD in 2016, registering a Compounded Annual Growth Rate (CAGR) of 2.67% during the analysis period, 2016-2021. The report provides a basic overview of the hot dogs and sausages industry including definition, classification, application and industry chain structure. Milford, DE (March 3, 2017) - Burris Logistics, a provider of public refrigerated warehousing and freight consolidation services, announced today that it has successfully completed the purchase of a 55-acre property at 350 King Mill Road in McDonough, Georgia (just 33 miles south of downtown Atlanta). 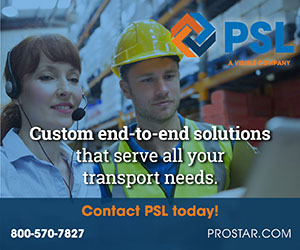 The Delaware-based logistics company will soon begin construction of a 250,000 square foot public refrigerated warehouse (PRW) with 28,000 pallet positions and an attached office on the property. The facility will create more than 75 local jobs for Phase I when construction is completed in January 2018. Wal-Mart Stores Inc. is in advanced discussions to buy online men’s fashion retailer Bonobos Inc, Recode reported on Friday, citing sources. Wal-Mart and Bonobos have agreed on a price and the deal is in final due diligence, Recode said. Nordstrom is an investor in Bonobos. The website said that the price of the deal could not be learned, but a retail business would likely fetch one to two times revenue. Bonobos has $100 million to $150 million in revenue and was valued at $300 million in 2014, the article said. pot Freight Inc. (Spot), a tech-enabled third party logistics company, announced plans today to expand its headquarters in Indiana, tripling its office space and employment, creating up to 257 new jobs by 2023. "As the Crossroads of America, Indiana is home to more than 5,700 logistic companies that take advantage of our central location, infrastructure network, favorable business climate and talented workforce," Governor Eric J. Holcomb said. "When companies like Spot stay and expand here in our communities, it means more good jobs for Hoosiers. We will continue doing our part by sustaining the state’s pro-growth business environment and updating our network of roads and bridges."